​Since our first days, Haz-Klean has been dedicated to providing Rock Hill and the surrounding area with excellent emergency hazardous waste cleanup response. Whether at manufacturing companies, gas stations, or after automobile accidents, our hazardous waste cleanup team will be there quickly. Haz-Klean specializes in emergency fuel spill cleanup in Rock Hill, SC, York County SC, Chester County SC and Lancaster County, SC. We work with transportation companies, petroleum companies, local, state and federal governments, and chemical manufacturers. With Haz-Klean, Rock Hill gets professional hazmat waste cleanup for oil spill control, gasoline spill cleanup, and other emergency fuel spill response from highly trained professionals. Situations that require hazmat cleanup include spills resulting from vehicular accidents, aviation incidents, industrial facility spills from accidents, and natural disasters. 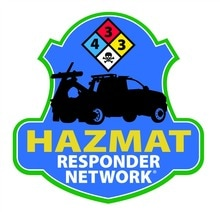 Every member of our hazmat cleanup team is trained extensively for emergency spill response. From top level operation management to hazmat cleanup technicians, everyone at Haz Klean brings knowledge, insight, experience and proper safety training to each hazardous material cleanup in Rock Hill, SC. There is no denying the importance of highly qualified and well-trained professionals in the case of hazardous material cleanup. With Haz-Klean, the most qualified experts that are trained on how to clean up fuel spills, oil spills, petrol spills and more. Petroleum companies that need effective hazardous waste disposal in Rock Hill, SC can turn to Haz-Klean to provide fast emergency spill response and disposal. For everything from assisting with hazardous waste containers and identifying waste materials, you get all the help you need from our team. Be sure to call us right away if you have a need for our emergency fuel spill cleanup services in Rock Hill, SC and surrounding York, Chester, Lancaster County, SC and Mecklenburg County, NC. ​Oil spills can occur for a variety of reasons, but some of the smaller spills that happen more frequently are from petroleum companies’ trucks or production stations. Oil spills provide harmful effects on the environment. Animals and plants are incredibly affected when there is an oil spill. Getting professional oil spill control and a team prepared with oils spill solutions is essential. Proper oil containment from Haz- Klean will help to keep animals safe, like baby animals that may get oil on them and starve because their parents cannot detect their scent. With Haz-Klean, petroleum companies, or local governments near Rock Hill, SC, can get fast oil spill response. With our oil containment team, we will effectively clean and remove the hazardous materials and safely dispose of them in an environmentally friendly way. Our team understands how to clean up oil spills quickly and effectively so that there is minimal to no detrimental impact on the environment surrounding the spill. If you are looking for fast and efficient oil spill solutions in Rock Hill or the surrounding area, be sure to call in the professionals at Haz- Klean. With our 24-hour hazmat cleanup services, Rock Hill always has the highly trained technicians it needs for hazardous waste cleanup. With a gasoline spill or petroleum spill of any kind, there are certain risks of damage created by the spill. Especially in the case of an automobile accident, petroleum spills create a hazard by making roads more slippery and increasing the possibility of more accidents. Without proper gas spill cleanup, the mixture of chemicals of a toxic nature in petroleum can create possible hazards for the drinking water. It can also pose a threat to any nearby aquatic life and wildlife if it gets into surface water through the storm sewer. There is also the very dangerous threat created because of the fire hazard of a gasoline spill near traffic, sewers or in buildings. The chemical makeup of petroleum is a mixture of lots of quickly evaporating chemicals. This makes it incredibly flammable and quickly evaporating off of warm pavement, especially after a gasoline spill. Much of the compounds in gasoline are toxic, which is why it is so important to bring in the experts to clean up a gas spill. Haz-Klean responds in a hurry to keep everyone safe from any possible damage done by a gasoline spill. Anytime there is a need for gas spill cleanup at a gas station or after an automobile accident, be sure to call in Haz-Klean to provide the most effective hazmat cleanup service in Rock Hill. Protecting the people and environment of our community with emergency fuel spill cleanup in Rock Hill, SC is our specialty, so call right away. ​The possibility of a diesel spill is lurking at all times and anywhere. Whether it is near water or on concrete, a diesel fuel spill presents a danger to those around and can be a huge hazard if not handled properly. With Haz Klean, you get the company in Rock Hill that understands the regulations concerning hazmat cleanup and diesel fuel spills. When there is a diesel spill, it should be reported immediately, and you should call us to provide the fastest response for diesel spill cleanup in the Rock Hill area. When you call us it will help you or your company not only avoid some of the serious hazards involved with diesel, but also any possible legal issues. Diesel fuel is extremely common and looks very similar to regular petroleum fuels when spilled. There are several possible scenarios that could cause a need for diesel cleanup, like vehicle accidents, leaking fuel lines, overfills, tanker rollovers, punctured fuel tanks, or a hydraulic line break. These present really serious risks, so you need effective and fast cleanup from professionals in hazardous waste disposal. With our diesel fuel cleanup experts, your company will get a quick response and a team that follows the hazardous waste cleanup guidelines to limit any potential liability. ​As you now know, every petroleum, gas and oil spill needs to be cleaned up before it presents a serious health risks to individuals and the environment surrounding the initial spill. With Haz-Klean, you get a company that understands the hazardous material cleanup in Rock Hill, SC, and understands oil spill cleanup, gasoline spill cleanup, diesel cleanup and proper safety procedures for each. Providing Rock Hill with hazardous waste cleanup and proper disposal methods gives us the opportunity to help prevent serious injuries and extensive damage to the water and environment. With our extremely cautious and effective hazmat cleanup process, you will be within the federal and state guidelines which saves your company from added risks and potential liability. Whether you need us to clean up a gas spill, require oil spill response, diesel cleanup, or another hazardous waste disposal in Rock Hill, SC, Haz-Klean is here for you. Our management and technicians are incredibly well trained and provide excellent oil spill solutions, and use incredible hazardous waste containers to guarantee safety and effectiveness. ​The dangers presented to drivers on the road after a fuel spill, people nearby, and the environment must be taken very seriously. There is nothing more essential in the situations presented by hazardous material spills than getting a company that is experienced and proficient in hazardous material cleanup in Rock Hill, SC. The effects of oil spills, and petroleum spills can be incredibly problematic if not cleaned up properly and quickly. That is why Haz-Klean is dedicated to providing the best hazardous waste disposal in Rock Hill, SC and nearby York County SC, Chester County, SC and Lancaster County, SC, and other surrounding cities. Our team provides years of experience, and well-trained technicians, that provide incredible hazardous waste disposal and cleanup services in the most effective and safe way. When there is a need to clean up a gas spill, provide oil containment, or diesel fuel cleanup, Haz-Klean is the most effective and fastest responding cleanup team in the Rock Hill, SC area.